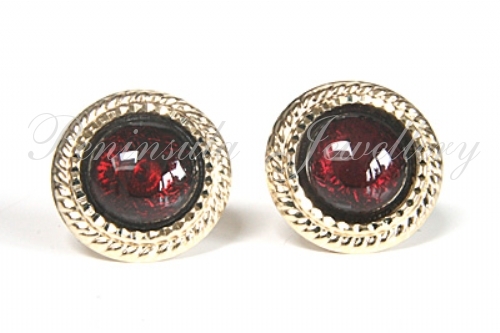 Pretty stud earrings with 8mm Garnet buttons in the centre. Solid gold pebble design outer. Standard 9ct gold posts and backs. Overall dimensions: 13mm diameter. With a free pair of comfort fit plastic backs. Made in England. Supplied in a luxury gift box - Great Gift! !